Human interaction has plummeted over the years. Face-to-face contact has been replaced by pixelated conversations behind computer monitors and 6-inch glass screens. But, this hasn’t dulled the power of good ol’ fashioned word-of-mouth marketing, which still drives 20-50% of all purchasing decisions. And though technology has replaced human face-to-face interaction, it has made word of mouth much more POWERFUL than it ever was, giving enthusiastic customers even more channels to spread the word about the brands they love and adore. So, whether via online conversations or the traditional sit-down family dinner, word of mouth is still one of the most powerful ways your customers can become marketing ambassadors for your brand. Word of mouth brings in $6 trillion of annual consumer spending, which accounts for 13% of consumer sales. Join the ranks of Amazon, Samsung, Netflix, and Toyota—brands that actively work on customer loyalty and espouse word-of-mouth marketing. Today’s consumers are more skeptical than ever. Flashy advertisements are not enough to sway consumers to favor your products and spread the love to others. Sharing your products requires trust in your brand, and this takes time (more time than viewing a quick ad). Here’s the good news though: The recommendation of a friend can slash the time it takes to build trust in your products. People trust their friends much more than they trust you. So how exactly does this play out? A lot of the word of mouth that occurs online is organic, meaning it happens naturally without any coaxing from brands. So how can you actually influence the conversations your customers have about your brand? After all, you can’t be at all places at all times. And even if you possessed omnipresent superpowers, you still can’t coax consumers into buying your products and sharing them. It’s a bird! It’s a plane! It’s word-of-mouth man, coming to a city near you to coerce your consumers to share your products! You can’t force customers to be enthusiastic and recommend your product to others (superhero or not). But you can actively encourage word of mouth in your communities and with existing customers. 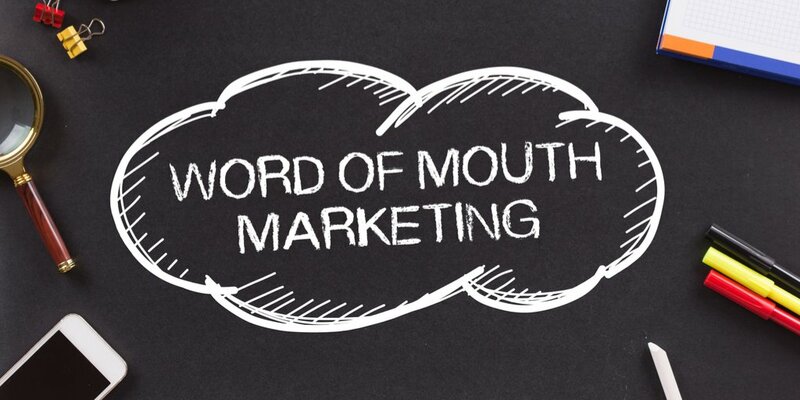 Word-of-mouth marketing focuses on creating connections with customers. 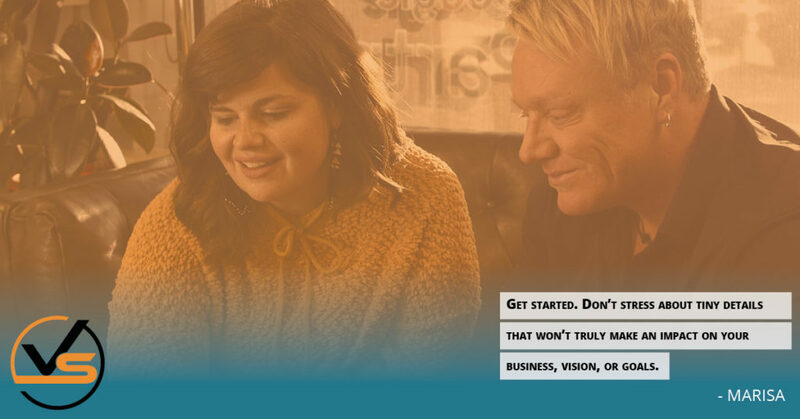 In doing so, you will foster loyal relationships that birth brand ambassadors, who are people so enthusiastic about your brand they tell everyone they know about it. These are valued members of your consumer-driven marketing team because they are authentically connected to your products. And the best part? They don’t charge you a cent to promote your brand. All you need to do is post more images on your social media profiles and BAM!—you will magically attract brand ambassadors, right? WRONG. Sure, thousands of articles publish vague, less-than-helpful advice like this, but this is not one of those. Is consistent posting and engaging on social media important? Yup. Is that all there is to word-of-mouth marketing on social media? Heck no. You’re likely already posting consistently on social media (if not, why aren’t you? ), and if you’re still reading, you aren’t getting the results you’re after. If your customers like your products, they are likely posting about them on social media. User-generated content is content (about your product) that is created by users (your customers). It’s powerful because the recommendations are authentic. This type of content resonates with a user’s family and friends because it is unbiased. Though user-generated content can occur organically, don’t just wait for your customers to post about your brand. You need to be proactive. Launch a user-generated content contest to spark some momentum. Encourage customers to share your contests and include branded hashtags. GoPro is known for its user-generated content marketing prowess. It even has an awards program for its customers and hands out cash prizes regularly for the best user-generated content. Most of the content the brand shares comes from customers. 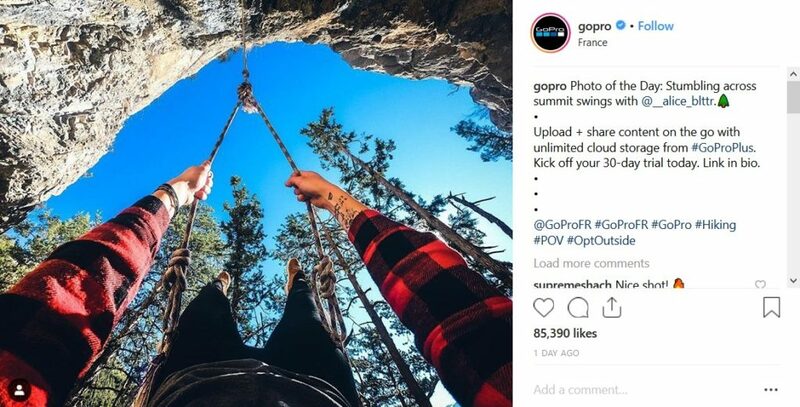 TIP: As user-generated content starts rolling in, post the images on your company social feeds similar to how GoPro does it. This shows your consumers that you are not the only one touting your product’s benefits. It will also encourage other customers to join the party and do the same. To power word-of-mouth marketing, offer customers incentives to share their positive experiences. Incentives are a great way to encourage customers to spread the word about your products. These incentives can range from free products and discounts to VIP treatment, special offers, advanced previews, or anything that will be good enough to prompt them to take action. Also, think about referral or loyalty programs that will help your customers become loyal to your brand over time. Generic incentives are good, but how much more powerful would these incentives be if you could personalize them? Customers would feel special, like they aren’t just one of hundreds and thousands of customers you are offering the same incentives to. You sell fitness products and one segment of your audience consists of pro-environment females who love your glass water bottles because they don’t use plastic. Instead of offering a generic 20% discount to your store in exchange for a referral, personalize the incentive and offer a sizable discount on an accompanying (purse-sized) glass water bottle like the one they already purchased. NOTE: You need customer DATA to do this effectively. If you aren’t collecting data like this (customer behavior and preferences), well, you are kind of just playing marketing and you won’t be able to scale. We talk about the importance of data-driven marketing here. One other way to improve the customer experience with your word-of-mouth marketing campaigns is to personalize your referral program. Let’s say one of your loyalty program customers posts on Instagram about your brand. Their followers click the shared links and arrive on a landing page personalized just for that customer’s followers and friends. This landing page also reiterates the special discount. These personalized landing pages will entice customers to keep referring your products and also compel their followers to take advantage of the promotions. Looking to supercharge your exposure and boost word-of-mouth marketing? It doesn’t matter if you just launched your business or you run a Fortune 500 company, influencer marketing leverages the power of trusted recommendations to level up your word-of-mouth marketing campaigns. Get visibility on your campaigns faster by working with industry influencers who serve large communities of passionate, trusted followers who are ready to buy from recommendations. Influencer marketing is not the same as traditional word-of-mouth marketing because you are working with influencers (middlemen) instead of directly influencing your customers to make recommendations to family and friends. So, the key to sparking word of mouth with influencer marketing is to work with influencers who have a tight-knit community of followers who consider the influencers friends. Focus on micro-influencers who have fewer than 100,000 followers. They typically will promote your product in return for free products or light compensation. Micro-influencers also tend to get better engagement on their posts than high-powered celebrities because they serve a close-knit community of people who like similar products and services. Micro-influencer communities are responsive and value the influencers’ recommendations because they are usually authentic. Relevancy. Only work with influencers who post about products that are similar to yours or possess similar industry characteristics. For example, if you sell organic skin care, look for influencers who post about organic food, makeup, and natural products. Digital products. If you aren’t selling physical products, these rules still apply. For example, if you sell a software product that offers accounting automation services for e-commerce store owners, consider working with other e-commerce software application companies that your target audience would buy from. Focus on authenticity. Influencer marketing has become so overused that people are starting to get skeptical when influencers recommend products. Focus on authenticity—always. If an influencer doesn’t seem like they would be a good fit to promote your product, don’t force it. Word-of-mouth marketing is all about connection and trust. The minute you focus primarily on money, your campaigns will be irrelevant and you will fail. Yes, your goal is exposure and future revenue, but NEVER at the cost of authenticity. Whether via family dinners and face-to-face gatherings, or online conversations hailing from communities of millions, word-of-mouth marketing will NEVER become outdated. Trust (a main component) is and always will be one of the strongest factors to securing a sale and building loyal customers who will stick with you for the long term.